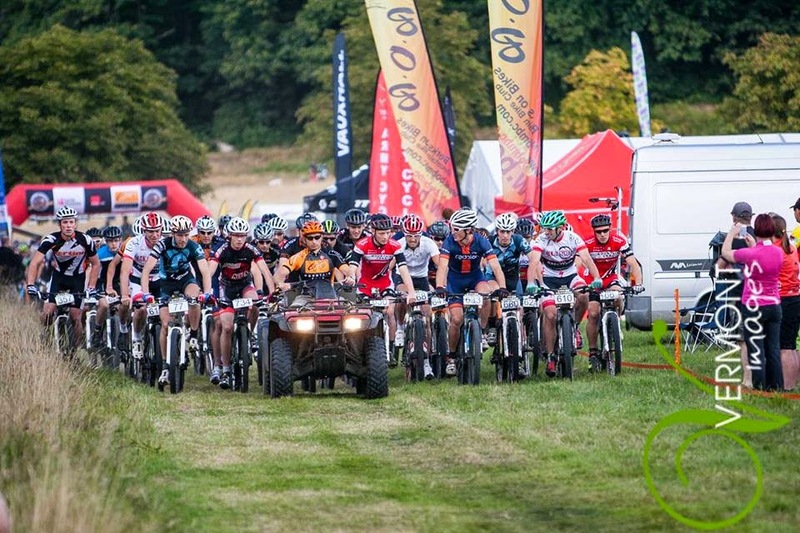 Torq 12:12 2017 was held at the usual Minley manor in Hampshire, a flat but loamy bumpy and twisty course layed ahead for a flat out 12 hours of racing. I raced the Male team of 4 Category as a few of the boys wanted to put a fun but fast team of mates together for the weekend. Saturday Pub lunch was in order to catch up with the boys followed by a practice lap on the 7.5 mile course. The course was longer time wise than previous years due to more new loamy "spongy" sections. Nether the less it was a good course. I did the gentlemenly thing and let Oli have the first lap elbows out tear up after myself doing the first lap at Big Dog a few weeks previous. Oli had a bit of an off but still came in real good time, leading our category. I headed out for my first lap putting in the fastest lap of the day on the longer lap as there was a wasps nest found on the back of the course which was cut off for obvious reasons, this section saved around 20seconds per lap. The boys put in a real good show with everyone leaving all they had out on the course 😅. We grew our lead over 2nd place lap by lap and eventually won by nearly a full lap at over 35minutes. Solid effort by all the team, more of the same next year please :). I also started a new job at Sigma sport in Esher the following week which has been really interesting and enjoyable. Mon-Fri with bikes bikes and more bikes involved what more could I want :). Last Sunday I raced an open road Surrey League race which was a 2/3rd cat race. The race was really enjoyable and attacking and many moves went but none stuck in the end. So it came down to a bunch sprint to the top of a climb after 44miles of racing, although the race was advertised as 60miles. It was a tough finish dragging up a hill that kicked in 2 stages, especially on tired legs after trying to get away several times during the race and several times on the final lap. I was following Michael Guildford up the climb to the finish but he peeled off to early leaving me with to far to the finish and I got pipped by 2 other riders. Pedal heavens Warren Jesse got the win with a Basso rider taking 2nd and myself 3rd. There is a similar race on this coming weekend at Milland which I will be attending and hopefully have my thinking cap on this race. Last weekend was great training and a good tear up but just got my tactics slightly wrong. Onto this weekends race. 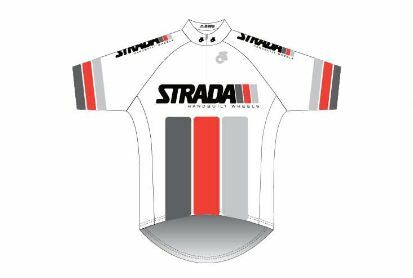 Pucci Pedaler cycle coaching is a new cycle coach based in the Weybridge area in Surrey, Isaac Pucci is the coach and is on hand to guide you in terms of any training or nutrition requirements you may have. Please look into the "Pucci Pedaler Cycle Coaching" page for more information. 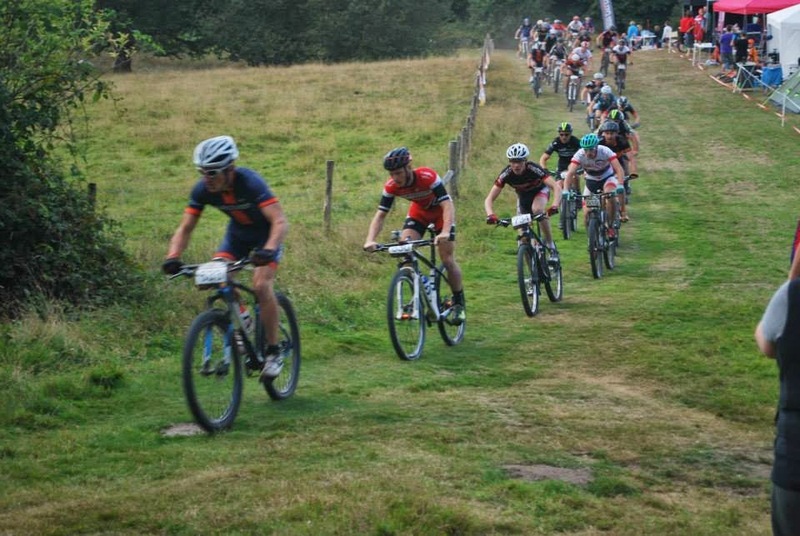 Sunday the 5th of October saw the 3rd round of the Banjo Cycles Rampage over at Checkendon in Reading. They decided to change the course direction for this round, this didn't make much of a difference as i've ridden all the trails in both directions at checkendon as there are limited trails. 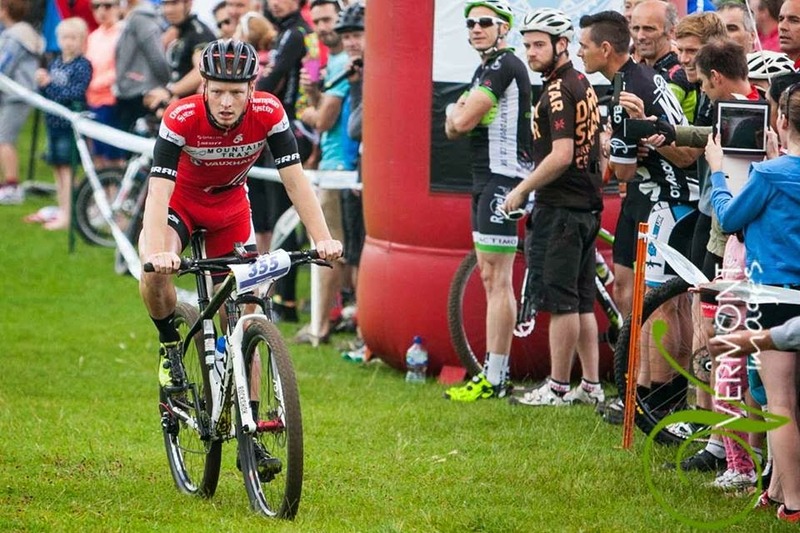 This was the first race on my Scott Scale 29 winter edition!, with slightly cheaper drivetrain for obvious reasons. This bike is still a top end race machine but after riding the spark for a week the rear end felt rather harsh but snappy. 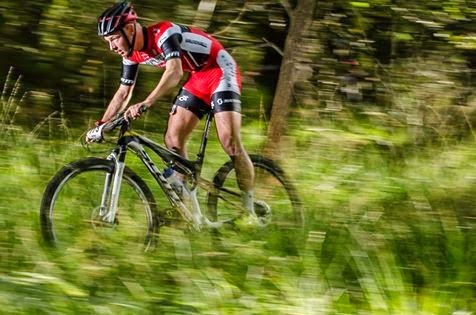 Sunday the 28th of September saw the first round of the Gorrick Autumn classic series. Round 1 was held at Hungry Hill/Caesars Camp in Aldershot. Good to be back racing and even better to come back with a win . Had a good little race with Will Taylor of Southdown Bikes. We were together for 3 laps before I saw a small gap appear on lap 4 so took full advantage of that and put 30 seconds into him and a further 45 on the last lap putting in the only sub 17minute lap of the day. The Scott Spark was super smooth out there today!, wish I would have chosen to ride one before. 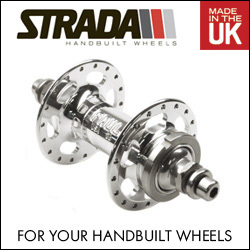 Big Thanks to all my sponsors Mountain Trax - Vauxhall Motors Cycling Teamand Strada Handbuilt Wheels. I couldn't do the job without them. Big shout-out to the old man Andre Puccifor a solid result in the vets cat coming 4th behind some very good riders. Onwards and upwards. 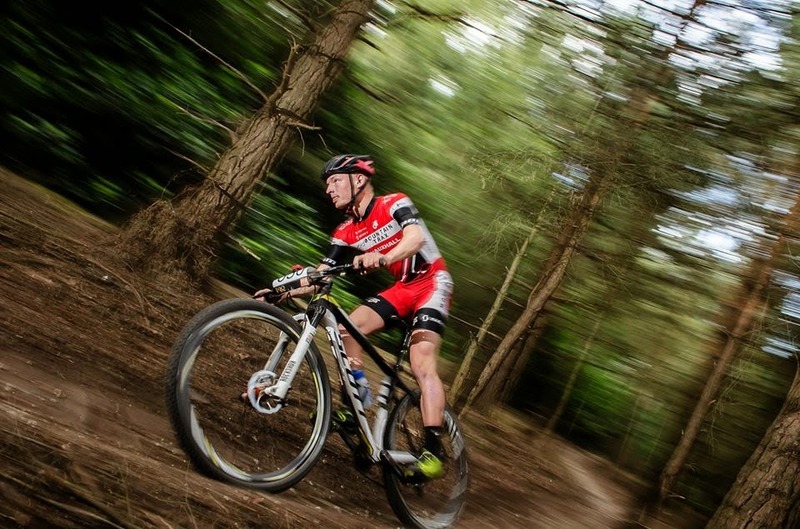 Next Race for me will be the Rampage next week @ Checkendon. Torq 12:12 - Male Team of 4 Win + Fastest Lap :). Sunday the 25th of August saw the Torq 12:12 event, the event is always held on the August Bank Holiday weekend so Monday is recovery day. The event starts at 12 noon and finishes at 12 midnight, this makes for some interesting racing. You can either choose to ride it solo 12hr, solo 6hr, team of 3 or a team of 4. The hotly contested 4 man Male team is the race Mountain Trax - Vauxhall motors cycling team decided to enter, with 6 other Mountain Trax Teams. Team Manager Ben Thomas decided it would be best for me to go out first on the 8 mile twisty loamy course at Minley Manor. This was my first outing on my Enve, Chrisking Tubular wheels built by Darren at Strada wheels. These wheels are only really supposed to be used for big Race day events Ie Nationals but I wasn't planning on using the tyres glued on for next years races so thought I may aswell get some use out of these tubs before I rip them of and reglue so custom Dugasts ready for the 2015 Season. The wheels didn't disappoint with a huge amount of grip coming from a skinny 1.95 inch tyre. I was very surprised at the wheels stifness given the low weight, they accelerated out of the corners stupidly fast but did lack a little volume in the tyres over the bumpy stuff. They couldn't have been that bumpy though as I managed to bag the fastest lap of the day plus consistently lapping throughout the race. Early on in the race the gap to 2nd place was small but anything can happen in 12hrs!. We all kept our lap times consistent and the gap grew lap by lap, by the night laps we had a good 10minute lead and barring any mechanical's we were confident that we could win. Scott was out on the last lap and after 12hrs and 50seconds of racing we had done it, great team effort from all 4 of us. 2nd place was Torq Performance and Banjo Cycles in 3rd. Thanks heavens there was a race this weekend otherwise I think I have pulled the rest of my hair out!. 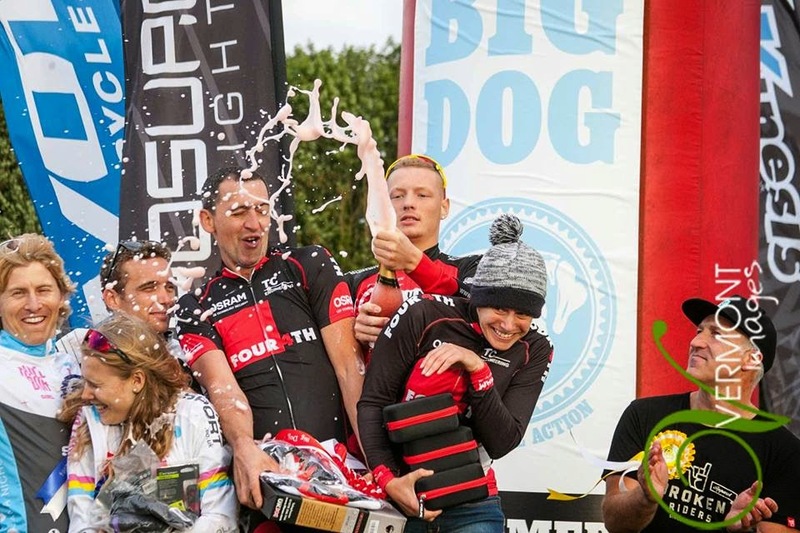 After having a small break after National champs I decided to race the Brighton Big Dog team of 3 mixed again as I enjoyed last years event a huge amount. Although there was a national on the day after I thought I would enjoy the rest of the season with some longer rides which I was avoiding mid season for obvious reasons. The atmosphere last year was electric and was a few volts higher this year. I had 2 titles to retain, 1 being the highly contested Hot Lap! & the Team of 3 Mixed title. There was only 1 change to the team this year with Roki Read filling in for Chris Dobson. I knew who to put the blame on then If we didn't win ;). Me, Jo & Roki Decided I should go first followed by Roki followed by Jo, this worked well and halfway through the 6hr race I overtook the leading Solo (Team manager - Ben Thomas). The first lap was a real mess with 50% of the whole race going wrong as me and Ben took a wrong turn as there was some tape down and looked like a left turn infact we should have carried straight on. The first lap was also very slippy and greasy but soon dried out for me to set the fastest lap of the day on my 2nd lap. The time of 25:35 was enough to take that title by just over a minute. We all continued to ride hard growing our gap to over a lap without us knowing, me and Roki had to take over towards the end as Jo wouldnt have been able to squeeze in the last lap with only 30mins to go, so I took the last lap salute!. What an awesome event with really nice flowing trails, I need to start driving and ride venues like this more often.